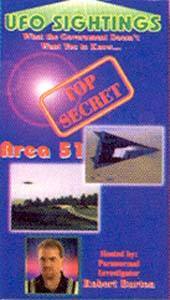 Get an experts opinion and first hand details of UFO's, Area 51 and much more. Find out what the government does not want you to know. If you were not a believer before you will be after you see this video. FREE shipping within the United States. Regular retail price is $29.95.